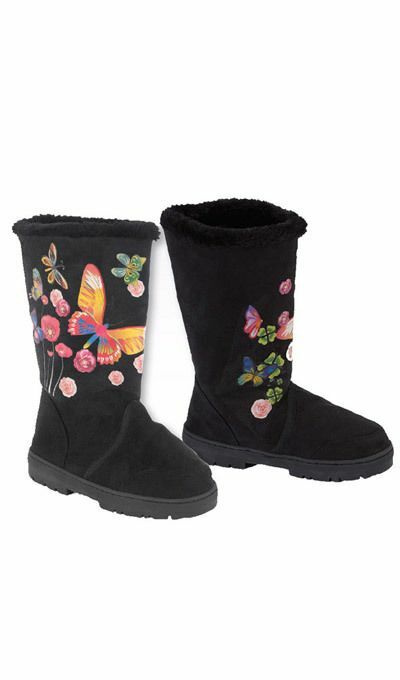 All dressed up in brightly colored butterflies, our casual boots are a delight to wear no matter the weather. Lightweight and comfy pull-ons in durable, black polyester fabric with cozy, faux fur lining and sturdy rubber soles. Imported. Available in whole sizes.